The San Jose Earthquakes have partnered with Coinbase in order to become one of the world’s first professional sports teams to accept Bitcoin payments in their stadium. The first crypto-experience will happen next Sunday, 25th May, when the American team plays against the Houston Dynamo. 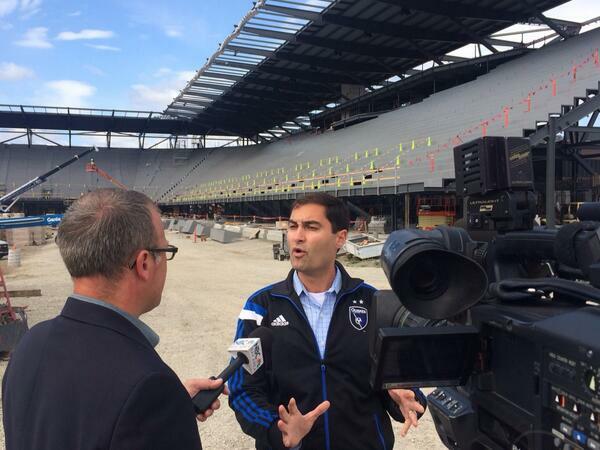 The club president Dave Kaval said that “in the spirit of Silicon Valley, the Earthquakes are constantly looking for ways to innovate”. Coinbase’s Bitcoin payment processor adds another cutting edge payment option that further streamlines the commerce experience for fans. Of course, any fan of the San Jose Earthquakes that wishes to pay for their ticket or merchandising with Bitcoin must have a digital wallet installed on a mobile device. The team’s president at the new stadium. Thanks to the new and entirely software-based Bitcoin payment system, its implementation process in the Quakes’ new stadium – which should be finished in 2015 – is expected to happen quickly and without a problem.